Imagine investing part of your funds in an investment that will give you a good return and offers you even more by providing a solution to a housing problem that holds back whole communities across the African continent, with South Africa being no exception. We have arrived to an era when investors are beginning to demand more to investing than only making a good return. Several gateways exist where you can invest your funds. You can put your money and take your chances in the volatile stock market or leave it laying in a deposit account. Instead you want your investment to do more and make a difference that has Impact. Further, you know that spreading your risk increases the chance of growing your wealth. You've looked at the real estate ventures that the elite enjoys and how they have built their wealth. You would like to do the same and have the opportunity to participate in a similar venture without the vast sums of funds typically required. That was not possible until now. With a minimum investment requirement starting at the equivalent of USD 1000 we can attract vast numbers of people making Johannesburg in South Africa attractive to the world. You can participate in an investment offering together with like-minded investors that are looking for more than just a good return. Investors that care what their money does while they grow their wealth, by investing in Langeburg villas an affordable housing project offering in a transparent and trustworthy way. For those of you living in highly developed countries, finding good and accessible investments is more important than ever. Global interest rates are at their lowest, and your savings are barely offering you any return anymore. Africa is a continent of many opportunities. It has some of the fastest growing economies in the world, and it has a very young population wanting to create a future. The plan contains 34 units of Affordable Housing with 1 bedroom units at 45 square meters and open plan kitchen with living room, full bathroom. All units are for rental which all have been successfully taken up off-plan. This location has a huge need for Affordable housing. Leonard qualified as an accountant and auditor with KPMG; he also completed a contract with Deloitte in Amsterdam as part of their International Auditing Division. On completion of his contract, he returned to SA and saw a gap in the property development industry which led to a consultancy service that advises local housing developers on the financial structuring and presentation of projects. The experience gained resulted in him starting his own Property Development Company that has since completed various housing projects in the affordable real estate market successfully. His network and involvement with various property funds also provide him with exposure to different segments of the development industry and experience from various assignments and due diligence investigations. His financial background together with experience on the ground allows him to manage proactively and successfully complete developments together with developers and a network of professionals. 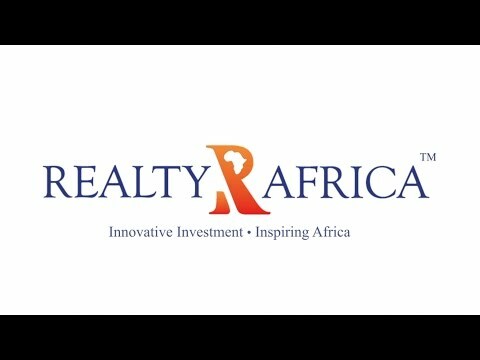 Copyright © 2019 Realty Africa, INC.. All rights reserved.